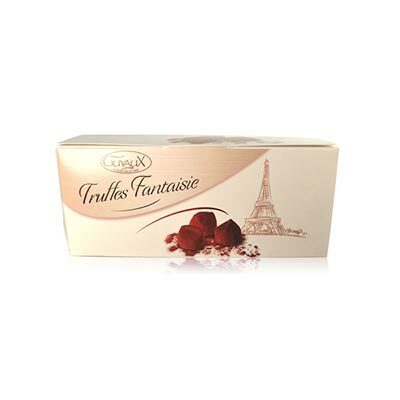 Hey, who would not like to sip on a lovely Prosecco and taste some fine chocolate truffles with it. 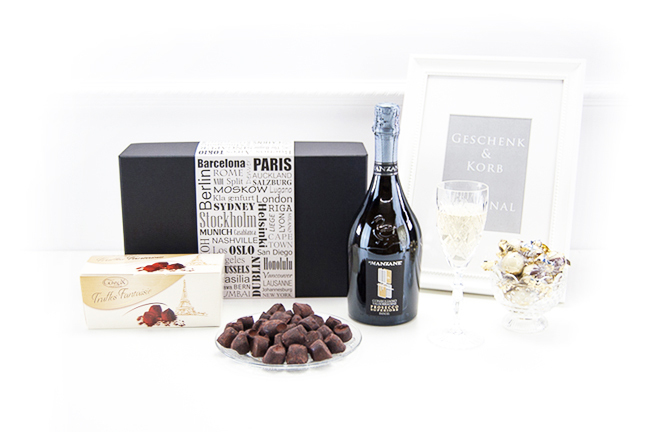 This Prosecco Gift Basket comes in a high value gift box. We ship it all over Europe. This fruity Manzani is made with family tradition. Exotic, sparkling, high quality Spumante. 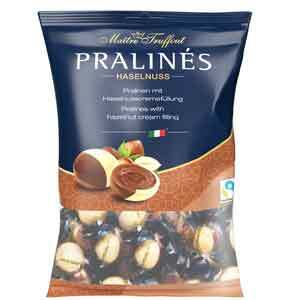 Delicious Pralines with hazelnut creme filling. Single wrapped, they wont last for very long. Extremly yummy. 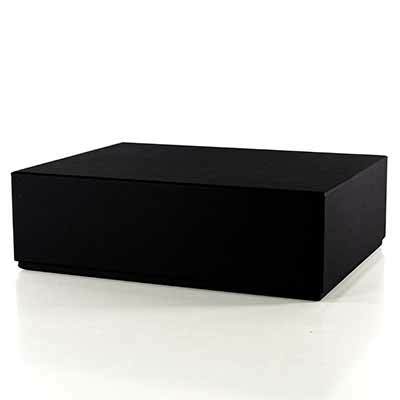 Packaged in a beautifully crafted gift box, this gift hamper just screams decadence and enjoyment. Popping the Parisian melt-in-your-mouth truffles can only be topped my taking a sip of the sparkly Prosecco Frizzante from Italy. This is a gift that will definitely be appreciated by someone who loves the good things in life. 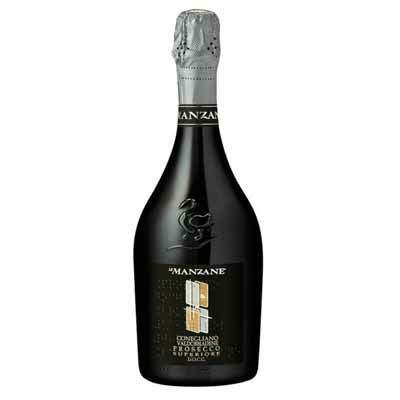 Le Manzane Prosecco DOCG Spumante.